What are legal insurance plans and what should you know before getting one? Some companies offer prepaid legal insurance to their customers. The sales pitch is that you pay a monthly premium and if you ever need legal services you get representation. Kinda. Sometimes the “representation” is a consultation with a contract attorney. After the consultation, you can then decide if you are going to retain their services, generally at a discounted rate. These plans are generally good for the occasional legal question or issue but not necessarily good for providing an attorney to do the task, draft the will, or represent you for a dwi / dui. The problem is that your premium doesn’t generally cover the expense of retaining a lawyer. Other legal insurance companies will offer legal representation for certain types of cases, such as self-defense cases or firearm related criminal defense representation. Those plans generally offer representation through the initial arrest and up to a certain amount of the attorney’s fee. Alternatively, the plans will require you to pay a deductible and cover the rest. These services are very specific on what you policy covers and doesn’t. There is often fine print. What should you know before signing up with a legal insurance company? 1. What’s in the fine print? What are you getting for your monthly premiums? Who does the company refer your representation to? What areas of law are included? Can you pick your attorney? 2. For self-defense or firearm related cases, is the insurance providing you a criminal defense attorney? Does that attorney specialize in these sorts of cases? What if you need to retain an expert in the area of self-defense or use of legal force? Is that covered? What is the extent of the representation? How much experience does the attorney have? 3. What about other insurance policies that may cover you? Whether you knew it or not, insurance policies for car insurance or general homeowner’s insurance may cover your legal representation in accidents or injury cases. What are you trying to accomplish with the legal insurance? If you are worried about representation for accidents, you might otherwise be covered. Check your insurance policies. Insurance isn’t a bad thing and it’s always a good idea to plan for the unforeseen. Legal insurance policies may help you, but you need to make sure you are getting the most bang for your buck. Some lawyers and law firms might provide you the same services at a better rate. You need to do a price comparison. It might also be wise, instead of legal insurance, to place an amount of money into a separate “rainy day account” for legal services. You can place an amount every month and have the same effect as with the legal insurance company. When you need to get a lawyer you will have a war chest saved up. 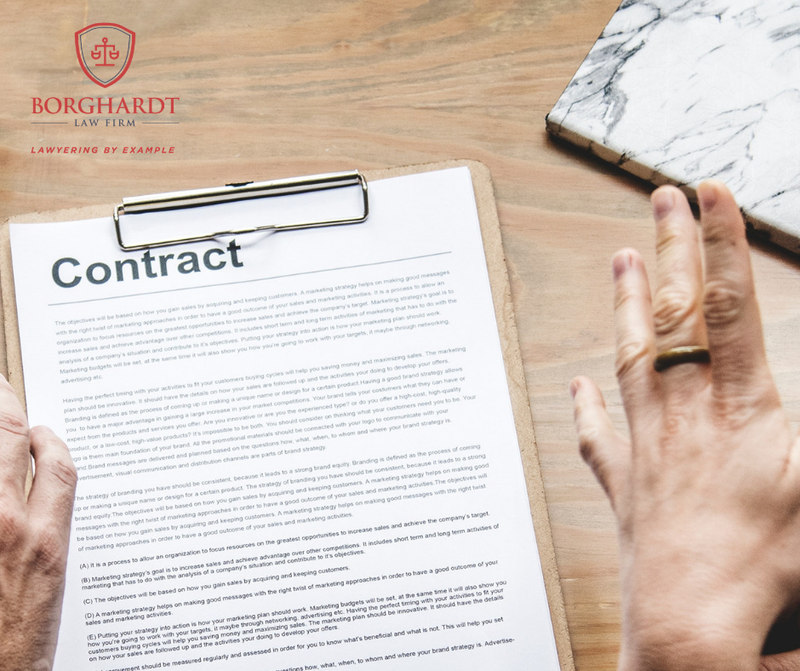 If you have questions bout prepaid legal insurance, please don’t hesitate to contact the Borghardt Law Firm. We have advised clients on legal insurance policies and the best options for them. Contact us at www.BLFNews.com.